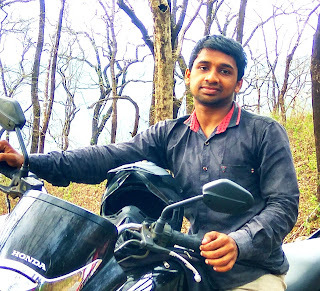 WhatsApp enabled a strong communication between society peoples. If there is a news, then you may not know that if you are not active on WhatsApp. 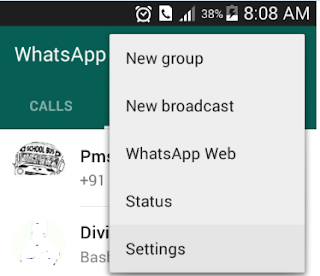 If you are new at WhatsApp, then you may not active with groups and personal messages. But after some days, you may include in many WhatsApp groups and WhatsApp shows notifications for each messages arrived on groups or as private message (pm) with a tone. WhatsApp notifications tone may not harass you if you are new at WhatsApp with few messages. But that should harass you if you are active at WhatsApp in different WhatsApp groups. 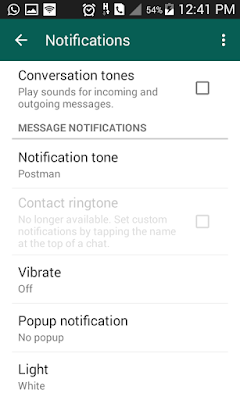 But there are many options to enable or disable WhatsApp notifications tones for personal and group chats. You can make silent all type of notifications sounds, also can set different tones for each groups, chats etc. Make the ‘conversation tones’ is disabled. Now all your conversation tones became silent. For customizing, we can make all the group tones silent and enable tone for personal messages only; you know pm is important than group message. Under ‘Message Notifications’ we can set tone for personal messages. There are many tones available on this list. But my recommended tone is ‘postman’, which is simple and short. 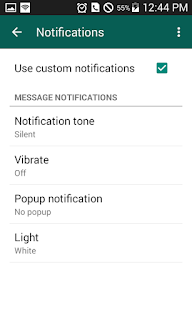 To make disable all group notification tone, then come to bottom; under ‘Group Notifications’, select ‘silent’ as ‘notification tone’. 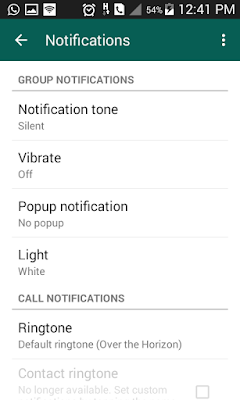 If you want tone for group notifications, then you can select a proper tone. But it is better to select different tones for both group and personal message notifications. In above method, we can set notification tone for personal and group chat. 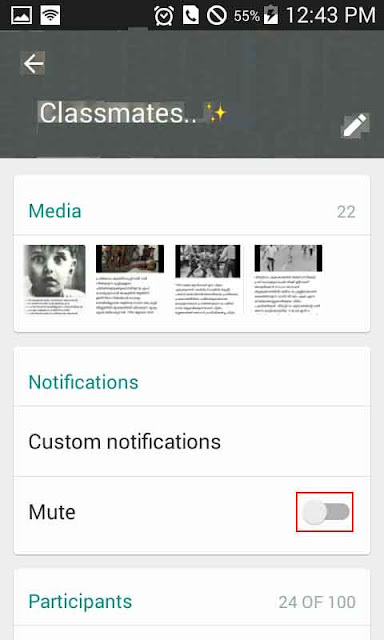 But in new version of WhatsApp supports separate notification setting for each chat or each group. Also you can mute some group or chat notification only. For this, open a group or chat that you want to make custom notification settings. Tap on group name. Now you can see group members, group logo etc. There is a button named ‘mute’ which silent group notifications tones from this group/chat. Also 'custom notification' helps to set separate tone for this group/chat only. Also can set vibrate option for messages on this group/chat. 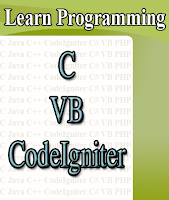 All of these options are according to your usage and interest. In your case some groups may be important, so you can’t mute it. So there is no recommended notification tone setting. Private message tone: ON – Postman tone.